Last week, the New York Times ran "Room for Debate" feature centered on CVS' recent decision to stop selling tobacco products. The question posed was fairly innocuous: "What Unhealthy Products Should CVS Stop Selling?" Three of the four responses were about products that have been proven to pose actual health risks to humans: carcinogenic cosmetic products, soda and energy drinks. The fourth, bafflingly, relied on studies that had been debunked by the Times itself in order to argue against the sale of Plan B over the counter and ella by prescription. In this column, titled "Dangers of Emergency Contraception" (blergh), executive director of the American Association of Pro-Life Obstetricians and Gynecologists Donna J. Harrison argues that "aside from being ineffective, over-the-counter access to emergency contraceptive is harmful to women's health." How is it harmful, exactly? Um, well, having fast and convenient access to emergency contraceptives "isolates the most at-risk women (teenagers and those in unstable relationships) from getting the medical care they need to diagnose sexually transmitted diseases." Keeping them from preventing pregnancy won't diagnose their STDs either, but no matter! Teens! She also claims that "these drugs have been tested for safety only in women 18 to 45, and under conditions where these women use the drug only once in the cycle" and makes the wild assertion that "in certain situations, emergency contraception may act by blocking a newly conceived embryo from implanting, rather than by preventing fertilization." 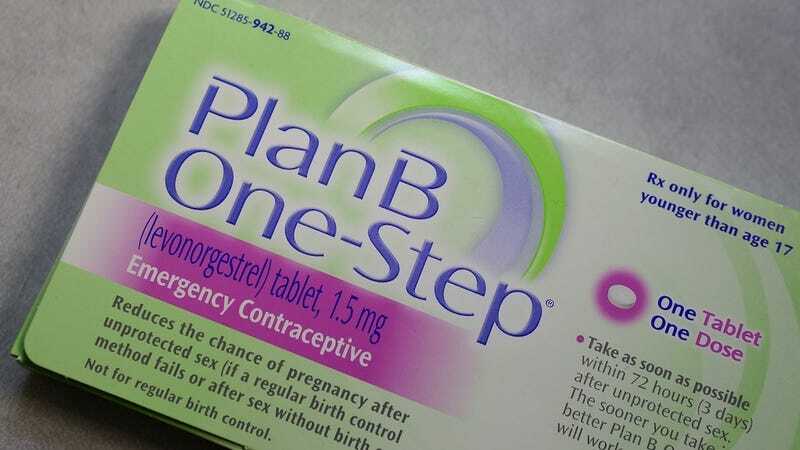 A large body of evidence not only underscores the safety and the efficacy of Plan B (from age 11 and up), but fully supports making it available over the counter; ella, which still requires a prescription, is also safe. The New York Times reported on this safety data several times, including in this piece from June 2013. The same month, those points were reiterated on the Times' own editorial page. It seems whomever at the Times invited Harrison to recycle old, discredited, and dangerous arguments failed to read the paper itself. Jacobson also notes that "the claim that EC acts as an abortifacient has now been completely debunked by scientific evidence." The FDA has found that Plan B "will not stop a pregnancy when a woman is already pregnant and there is no medical evidence the product will harm a developing fetus" — something the Times reported on in 2012, in an article titled "Abortion Qualms on Morning-After Pill May Be Unfounded." Whoops!!! In the end, Sullivan concludes that Harrison's contribution contained "questionable statements on [a] sensitive and important subject" and, furthermore, that these questionable statements appear to "have the Times' imprimatur." It would be fine to run Dr. Harrison's view — which, as Sullivan points out, "runs counter to scientific consensus" — if the debate were about the safety of emergency contraception. It wasn't, though. It was about whether a chain pharmacy has the right to stop stocking products that are known to be dangerous to human health. Lumping Plan B and ella in with soda and energy drinks and carcinogenic cosmetic products doesn't "acknowledge uncertainty." It invites comparison.